Best app ever! Great to workout and to set up goal for yourself. Will help you look great and healthy. My app tells me to upgrade to Pro, but....I am already signed up....is there a glitch somewhere? Great app for tracking your exercise!! I picked up running in 2013 and I’ve never used another app. It’s super easy to use and customize. You can add your shoes and it will log the miles and notify you when its time for a new pair. You can put in lots of notes, even pictures, for each run. I love the running history and basic stats it provides. And I also love joining the challenges. Everything wants to interface with the privacy and first amendment hating Facebook and google apps nowadays. The annoying voiceover while I ran just interferes with my music and no I didn’t explore the app very much because strikes one and two were Facebook and google. I’ll find something else. This is the best app ever. Been using this app for about 10 years. U can’t go wrong with this app. I recommend it to all my friends. 👍Great app. Easy to use. 👎All the great features are behind the paywall. This app would be must have if most of the features to be free to use. You want to sell Asics products? Maybe try offering more features for free & give an opportunity for having top users to be testers for Asics product. Emailed them twice to no avail regarding a setting issue. Frustrated!!! I’ve been using the app for quite awhile and have enjoyed it for years. I’ve racked up thousands of miles and still going. One thing though, I’ve been doing a lot of spin classes and tracking them on the app. Unfortunately though all the miles I put into the spin class don’t get recorded in my workouts. I one time I’d put it in under cycling but then I wanted to keep the two separate. I think it’d be nice if you guys could add mileage on the spinning activities. A bonus would be to allow us to enter it in as kilometers because that’s what most spin bikes measure in. I never ran before but have had a 5k on my bucket list. This app is great - I see improvement every run. By the way I am not a fitness geek. I am average - do a little stuff here and there. This app fits!! 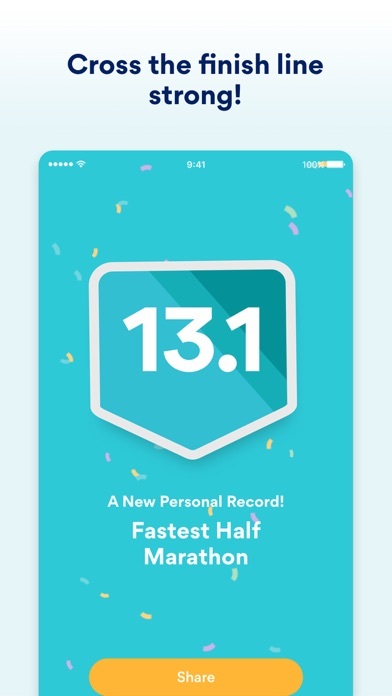 I’m training for my 7th half marathon and have used this app for running since I ran my first 7 years ago. 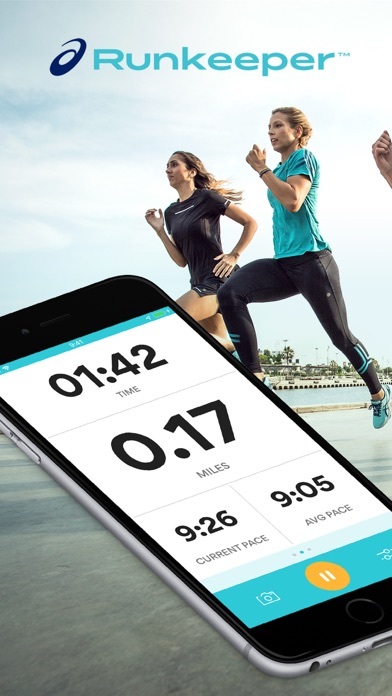 It is the perfect app for running. I love that it gives your time, current pace, and average pace. I use the audio that tells me my stats every 5 minutes. I have an Apple Watch, but I don’t use the running app it came with, I use Runkeeper. I highly recommend it! I’ve been using this app for years. It does everything I want it to and is easy to use. Seems peculiar that the only goal option concerning weight is to lose weight. The app doesn’t allow you to track for the purpose of putting on some mass. 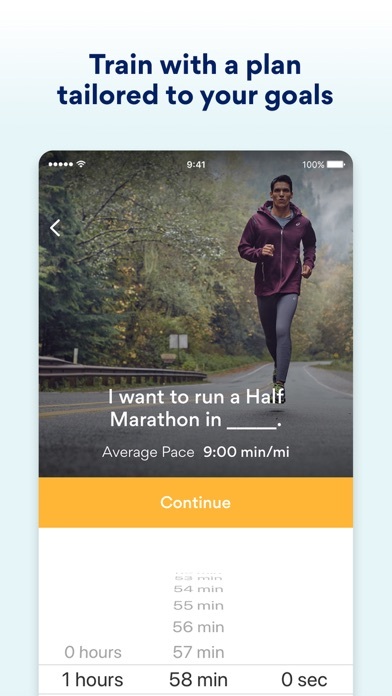 I’m aware this is a running app but still. I train in multiple arenas and expect such a robust app to include both options. Pretty disappointed but everything else seems great so far. 4 stars for the weight loss only bizzario. I have been using Runkeeper for 4 years and love it. I have logged over 2500 miles with it mostly running and some biking. 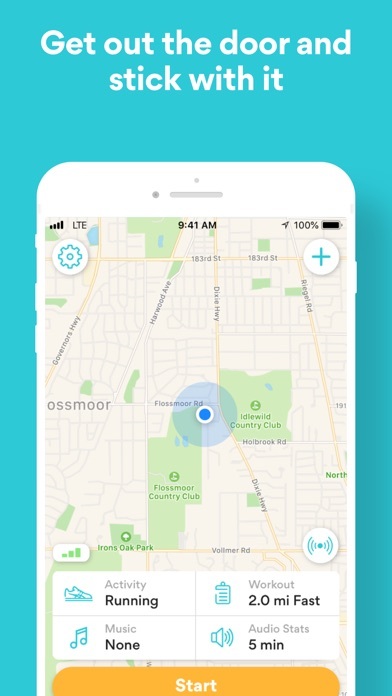 This is the perfect app for tracking any sort of activity. Running, hiking, swimming. It’s deadly accurate and has the customizable features that makes your run easy to track how YOU like it. Auto pause is the best update they’ve had since making the app. It also track the miles on your running shoes so you know when (statistically) you should buy new ones. All around the best. Syncs perfectly with Apple products (ie. health app, Apple Watch activities). Definitely recommend to runners, beginner to professional. I knew my mile time was not accurate so ran w 2 devices today. Off by 1.5 miles and 4 min per mile. I’ve been running with Runkeeper for a while and have even rated it before. I’m dropping to 2 stars partially because there are glitches, such as dropouts in training plans and runs that don’t get logged, but more because of how Runkeeper handles these glitches. There’s no phone support, and the support available by email (not even chat) is glib and unhelpful. I pay for Runkeeper Go so I can use tailored training plans. When 2 out of 3 of my runs in my plan for the week disappeared, I tried reinstalling the app but instead lost access to my account. It’s been 2 days of email and I’m still not back in. 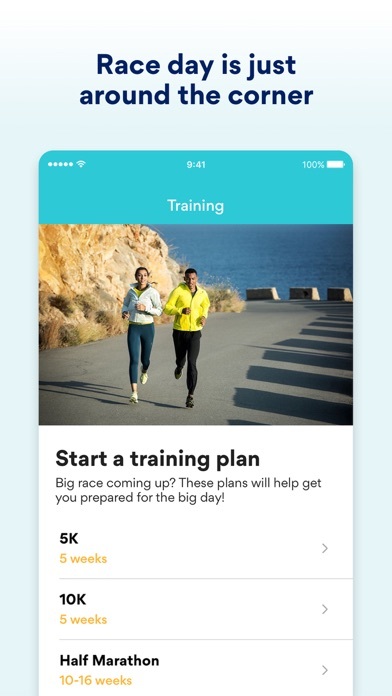 Runkeeper, you get 2 stars for what’s good about the app: really great training plans and unintrusive voice coaching, solid tracking and integration with apps like Health and LoseIt. I took the other 3 stars because a reinstallation and account reinstatement shouldn’t turn into an epistolary novel. UPDATE: Support managed to restore my account, but I continue to have the problem that was the reason I logged out of the app and attempted to reinstall it. When I load my training runs on Sunday, after I see my runs for the week at least half of them disappear and I get this message: “This is a partial week schedule. Your full schedule begins on Sunday.” It IS Sunday. An hour ago I had a set of four runs for the coming week and now it’s only 2. So infuriating, as it now happens pretty much every week. So I’m leaving my rating at 2 stars. The problem is that other apps are also glitchy and annoying. 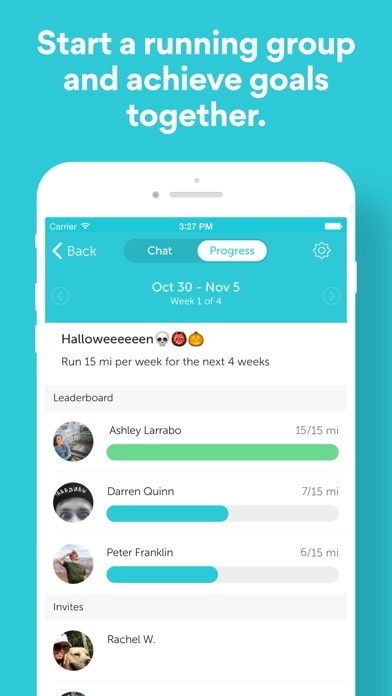 Challenge yourself by tracking your workouts and setting goals. Great GPS as well to track the distance of different routes. 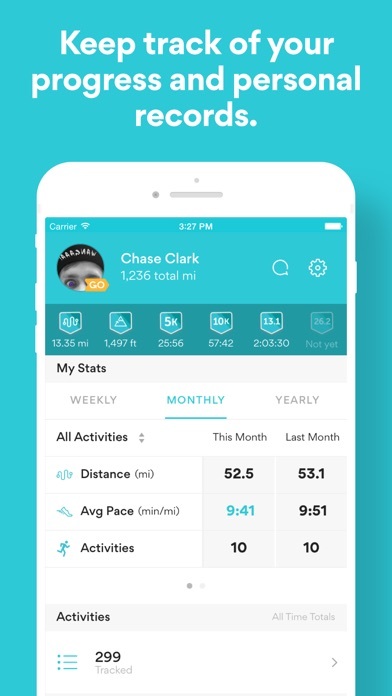 I have been using it for several years now and its my go to running/biking app. I used to love Runkeeper and have used it for years but now the app pauses almost every time during my run for no reason and then it doesn’t record it. I have no idea why it is doing this but if someone can help me figure it out I would greatly appreciate it and change my rating. Problem has been fixed! Works great with my watch! Good program if you want to carry your phone. Not so good if you try to use with your Apple Watch. 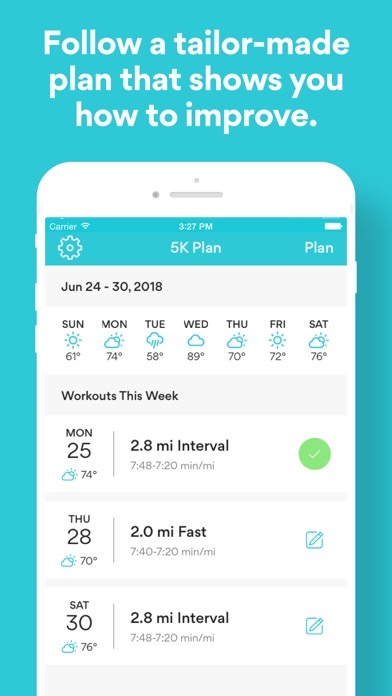 This was the best app for running...years ago. The community was growing and the go(premium) felt like was putting money into new features and helping the app grow. Now, or after asics took control really, nothing is the same. Races no longer exists, cant find people, refresh of data sometimes fail, and the Go features have been the same for years. I used to pay Go to support the devs... that is no longer worth it. Just for running it works; though there are a lot of alternatives. 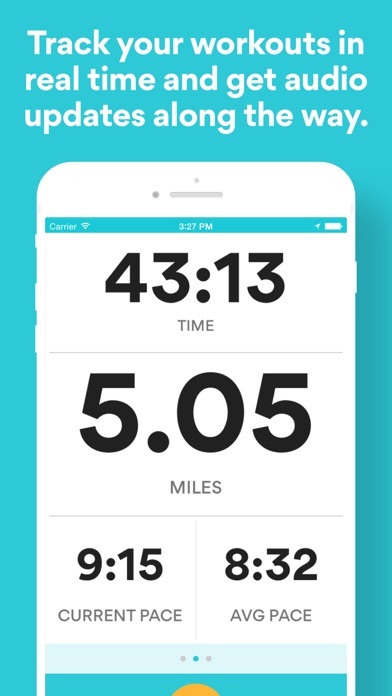 Runkeeper go does not work for me.It does not log the miles, time or intervals correctly. I ran 2 miles and it logged 0.4 miles. Not worth the $39.99 yearly fee I paid. App showed that I had ran 1 mile and I was over 1/4 of a mile into my run. Disappointing to run and feel as though you need to stop and make adjustments. “Email updates” pops up every time you do anything on this silly app. I’ve said “No” at least 200 times in a couple months, Runkeeper... are you really that unable to understand that No means No? The camera comes on uninvited when I run. Automagically. And I can’t delete the photo without deleting the workout. Just missing a good log, at least I haven’t found it yet 🤷🏽‍♀️ but it’d be nice to count calories in this app as well instead of getting a separate app. Got an apple watch and was pumped about not needing to run with my phone. But I can not get it to work on just my apple watch without my phone close by. This is the best app I have ever used and I pay for the upgrade but if I can not use it as a stand alone on my watch, I will have to switch to a different app. Makes me sad too. I LOVE this app on my phone. Please fix this issue guys. I want to stay with this app. 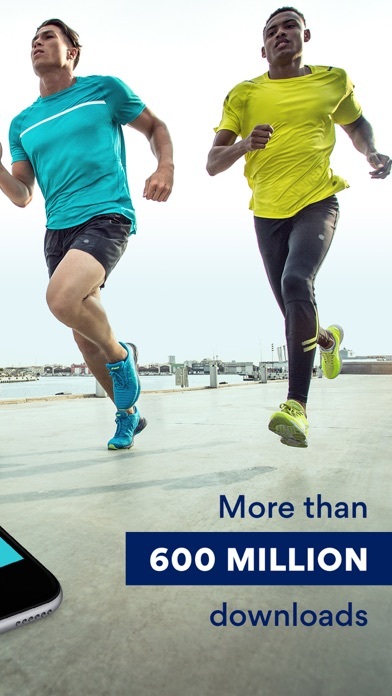 I would like to upgrade but it does not track miles ran from my Apple Watch I love ASICS shoes. I have been using RK for several years now. I was happy to upgrade to the paid version before when there were awesome training plans for many different distances or goals, with in-war coaching and specific intervals, etc. These plans helped me achieve some awesome PRs! However, I was saddened to see these plans no longer exist. This is extremely disappointing, and I will not be paying for the advanced version unless these great plans come back. This app was GREAT before .. now I cant even get it to open! !